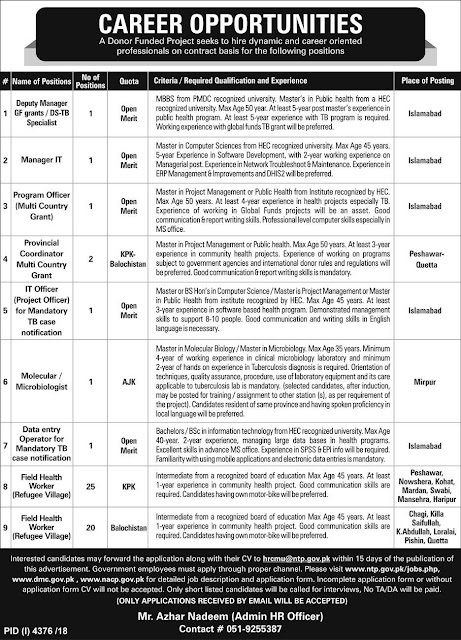 A Donor Funded project seeks to hire dynamic and career-oriented professionals on contract basis for the following positions. Place of posting: Peshawar, Nowshehra, Mardan, Haripur, Kohat, Swabi, Mansehra. These are contract-based jobs for specific tenure. 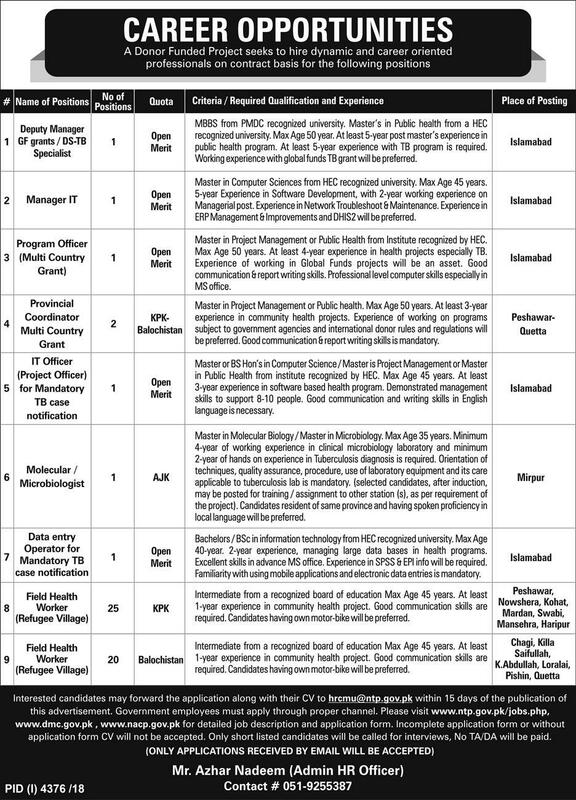 Most of these jobs belong to Kpk Region. Age limit is different for each post. Government Employees must apply through proper channel. Forms without a CV will not be entertained. Applications after the due date will not be entertained. Online applications through Mail will be accepted. Interested Candidates may forward the application along with the CV to Hrcmu@ntp.gov.pk for online apply. For more details click HERE OR scroll down to the image below.